“World War II Veterans of D-Day, Susan Eisenhower, and Elliott “Toby” Roosevelt III are among those who will gather at the National World War II Memorial in Washington, DC on Friday, June 6, 2014 at 11:00 AM to commemorate the 70 years since 160,000 Allied troops landed along a 50-mile stretch of heavily-fortified French coastline to fight Nazi Germany on the beaches of Normandy, France. More than 5,000 ships and 13,000 aircraft supported the D-Day invasion and, by day’s end on June 6, 1944, the Allies gained a foot- hold in Normandy. The D-Day cost was high – more than 9,000 Allied soldiers were killed or wounded – but more than 100,000 soldiers began the march across Europe to defeat Hitler and paved the way for an Allied victory. Susan Eisenhower, the granddaughter of General Dwight D. Eisenhower, Supreme Allied Commander of the Allied Expeditionary Force (SHAEF), will offer remarks on behalf of the Eisenhower family and will read her grandfather’s message to the troops. Elliott “Toby” Roosevelt III, the great-grandson of President Franklin Delano Roosevelt, will speak for his famous family and will read the former President’s D-Day prayer. As part of the ceremony, D-Day veterans, along with representatives from each of the Allied Nations that took part in the Normandy Campaign, will lay wreaths at the Freedom Wall of the National World War II Memorial. Craig Symonds, Professor Emeritus of American History at the United States Naval Academy and author of “Neptune: The Allied Invasion of Europe and the D-Day Landings,” will serve as the ceremony’s master of ceremonies and expert historian. 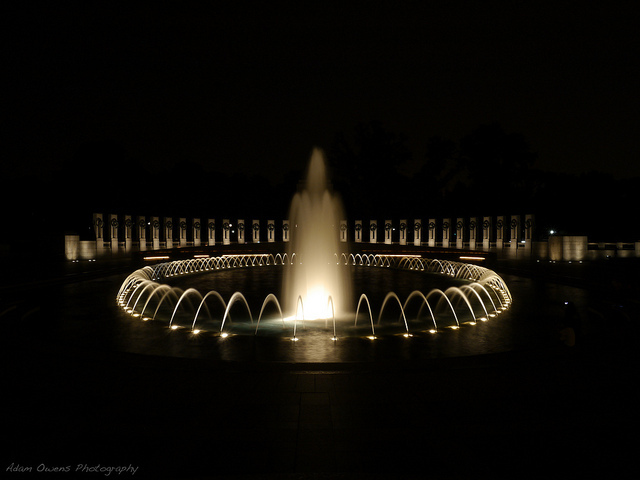 The D-Day 70th Anniversary Commemoration is co-hosted by the Friends of the National World War II Memorial (Friends) and the National Park Service (NPS). Robert Vogel, Superintendent of the National Mall and Memorial Parks, will speak on behalf of NPS. Friends Chairman Lieutenant General Kicklighter will speak on behalf of Friends. The Military District of Washington will provide military support for the event including performances by the U.S. Army Band Brass Quintet.